Ivanka's Card Studio made some seriously DARLING cards! 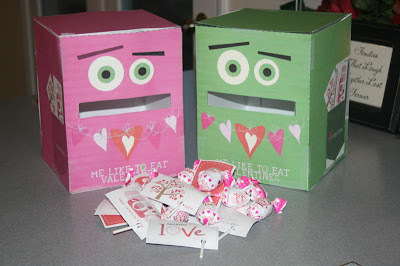 My cousin Jen imported her Valentine's Day box into photoshop and did a little color therapy to make it a little more girl friendly. Clever Jen! 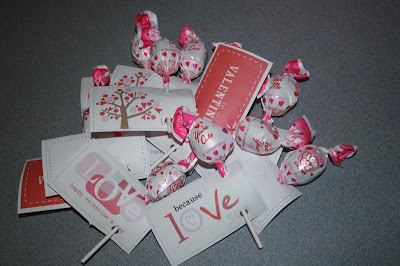 Valentines for a preschool class. 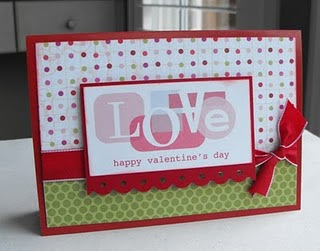 Paper Therapy Ponderings used the Valentine freebie to make some cute cards. Thanks for sharing these! Cute stuff. Hope you have a wonderful weekend! thanks for featuring my card on your post - your tags were great to work with - do you have something wonderful planned for Easter - she says in a hopeful voice. I loved your valentines card template and used it. Photo's on my blog! Thanks. This work by The Rubber Punkin is licensed under a Creative Commons Attribution-Noncommercial-Share Alike 3.0 Unported License.